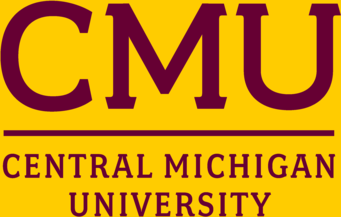 The English Language Institute (ELI) at Central Michigan University provides English instruction to students who require language skills and strategies necessary for successful completion of academic classes and acclimation to university life in the U.S. Our faculty and staff work to help students become independent, critical thinkers who make beneficial contributions to their academic, social, and global communities. The Intensive Program is for students who have n​o TOEFL scores, have TOEFL scores below 61 iBT, IELTS below 5.5, MELAB scores below 69, PTE Academic scores below 44, students who place into this level based on the MSUELT, or students who want to study only English. The ELI welcomes students who want short-term language study (4-8 weeks). Students will be tested upon arrival and placed into our existing Intensive-level classes. For groups of 10 or more, the ELI can also design programs on specific topics such as Business English or English Teaching. Discounts are available for groups of 10 or more. The availability of special programs depends on the availability of housing. ​Students may opt to continue their English studies at the ELI during the summer semester, although it is not required. The ELI offers one 12-week summer session for all ELI students from mid-May to early August. There are three Intensive-level classes: Grammar, Reading/Writing, and Integrated Skills (Speaking/Listening). I​ntensive Program students can receive up to 22 hours per week of English instruction. The Dual Program offers four summer classes: Listening/Speaking, Reading, Grammar, Writing, and Graduate Writing Seminar. Full-time Dual Program students can take 16-20 hours of English language instruction each week.